We “behaviorally modern humans” likely emerged more than 100,000 years ago in Africa, spread across that continent and eventually all over the planet, effectively replacing all closely related potentially competitive species. Among many possible explanations, was the co-evolution of the human mind with tool use and technology – ranging all the way from simple stone tools millions of years ago, to computers today. Speakers in this series addresses this important process at all levels, from molecules to brain imaging, beginning with the potential link between early stone tool use and the parallel expansion of the human brain, to the control of fire and the invention of projectile weapons, all the way through reading and writing to current day technologies such as computers and 3D reality–perhaps with a look to the potential future of the human mind. Try to remember the first time in your life when you imagined something. It may have been imagining what was behind the door or under the bed, or a fantastic universe of wonders and exciting adventure. As children, our imaginations are furtive and encouraged as ways in which we develop our cognitive capabilities. As we grow older, we may not imagine in quite the same ways, but we continue to heavily use and depend on our imagination in our daily lives, imagining different situations that might occur in a few moments or in a few years. Thus, we actually spend a large amount of time in our own particular universe imagining many possible different ones. Why do we do this and how did this capacity evolve in humans? Imagination probably helped our ancestors to be successful in making decisions and live in complex societies, and imagination is key to advancing technology. 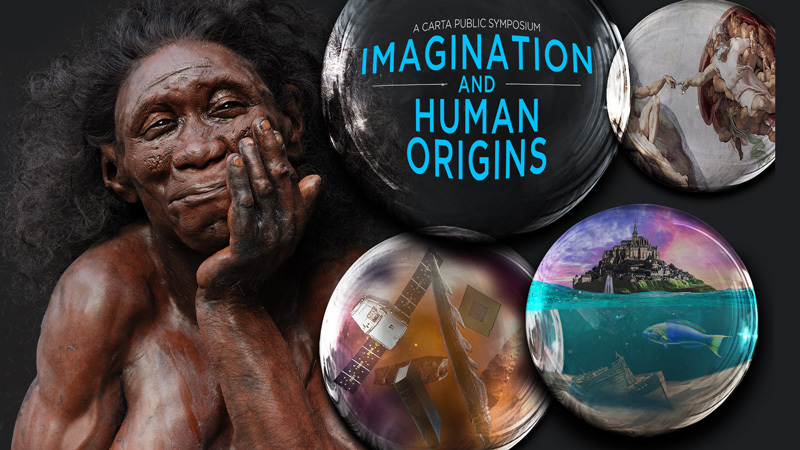 In this CARTA symposium, imagination is explored as a unique and enhanced human ability, and experts from all fields discuss its evolutionary origins, the fundamental genetic and neurological basis of human imagination, the impact of human imagination in science and art, and the consequences of imagination impairment. Humans have been hunter-gatherers for most of our existence as a species and hunting has long been seen as a key human adaptation, thought to have influenced our anatomy, physiology, and behavior, indeed, a force in our evolution as a species. 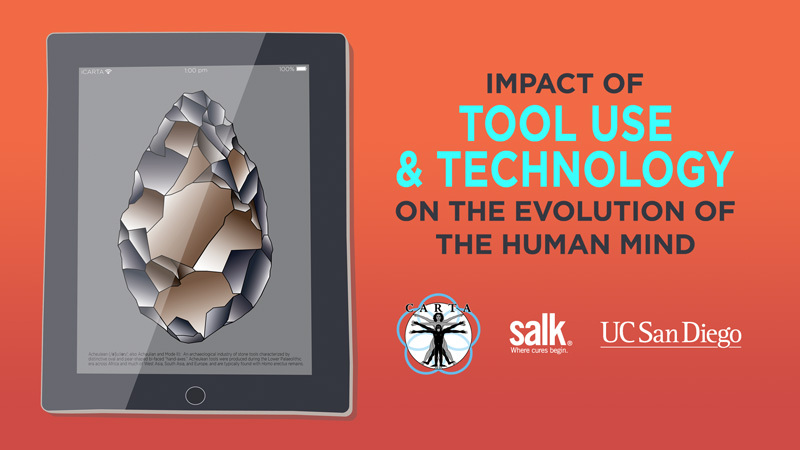 CARTA brings experts from across the globe to explore evidence pertaining to understanding the origins of hominin hunting and where this understanding can lead future research. 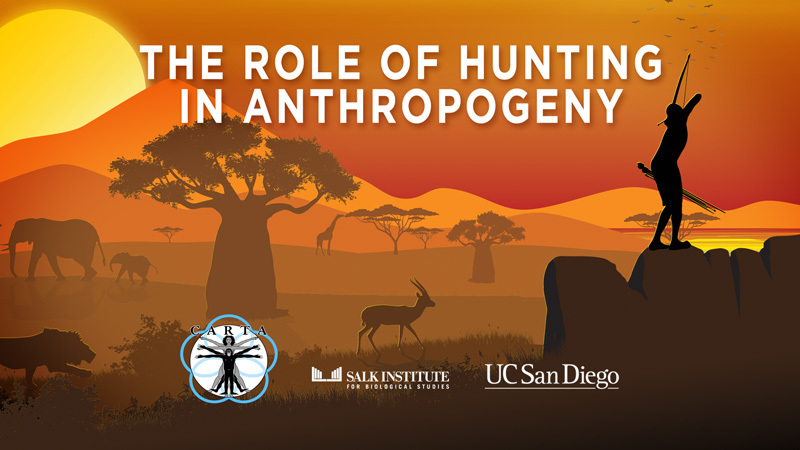 Browse more programs in CARTA: The Role of Hunting in Anthropogeny.